On the left, the tallest, completed building in Cambodia, the Canadia Tower. 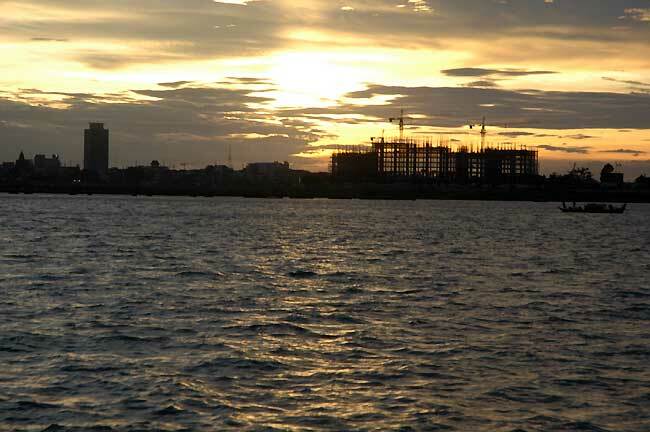 On the right the half built Sokha Resort complex currently being developed on the Chroy Changvar peninsular, opposite the popular Phnom Penh waterfront. More pics on the Symbiosis Custom Travel Facebook page.